Hi all, We, as a fast growing construction company, are looking for new buyers to join us. Company is a medium-sized construction and development company carrying out bespoke development and refurbishment works to the highest standard, throughout Central and Greater London. We have a considerable track record of delivering successful projects for a mixture of private individuals, developers and institutional investors. OUR PROJECTS ENCOMPASS HIGH-END PROPERTIES AND APARTMENTS, RESIDENTIAL AND COMMERCIAL DEVELOPMENTS, RETAIL, EDUCATIONAL AND RELIGIOUS BUILDINGS. We pride ourselves in being qualified and experienced to undertake all aspects of work; from heavy engineering and basement construction, through to fully integrated services and first class finishes. Whether working within design and build or traditional contracts, our unfailing aim is to satisfy all of our clients and their consultants requirements and to produce the highest quality finished project. The Role The Construction Buyer is responsible for ensuring that the materials required for construction projects are provided to schedule and according to projected budgets. This will include: Providing prices for all materials included in project plans and drawings Identifying potential suppliers and new products Contacting a range of suppliers and sub-contractors to obtain quotations Agreeing delivery times Keeping detailed records and maintaining well-organised work schedules Assessing the reliability of sub-contractors and suppliers Dealing effectively with challenges with suppliers and the flow of materials Ensuring compliance with the safety, health and environment requirements of materials and services Providing advice to the project estimator on the predicted cost of individual items Liaising closely with the estimator at the tendering stage to ensure that an accurate project cost is provided Preparing and maintaining cost reports in order to maximise efficiency within the business Negotiating and agreeing the most favourable terms possible with suppliers once a contract has been secured The Person: The successful buyer will have: At least 5 years of experience in a similar role - construction base Proficiency in IT Excellent communication skills, both written and verbal A strong work ethic and be self-motivated If you are looking for new challenges, please send me your CV and I will contact you directly. Thank you. 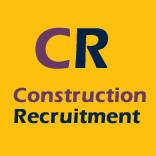 Commercial Manager The Client: One of the region's leading specialist dry lining, rendering, floor screeding, partitioning and suspended ceiling contractors, a £10m + turnover business with an enviable reputation delivering complex works for blue chip developers, major main contractors and more across London and East Anglia. Offering a truly bespoke and flexible offering to their clients across the region, they have established themselves as the contractor of choice in the field and are highly accredited for their delivery. The Role: As Commercial Manager, reporting into the Managing Director, you'll have overall financial responsibility for the business across all of their divisions. You'll ensure effective cost management of a range of projects, support delivery on key contractual issues, operate as a focal point for the business facing clients and external consultants and will oversee a team of Estimators and Quantity Surveyors to ensure thorough, accurate forecasting and cost/value reporting, and that projects are delivered within allocated budget. Responsibilities: - Leading an established team of Estimators and Quantity Surveyors in effective cost management of a range of exciting projects, through to final accounts - Forecast, monitor and maintain cash flow to ensure it is maximised effectively. - Mentor, develop, train and support existing and new members to the team, both within the commercial department and the wider business - Attend and host key meetings internally and externally, maintaining professional standards and promoting the company's standards and values at all times. - Be aware of, and take the lead on, contractual interests and ensure that delivery teams are at all times advised and aware of key requirements Qualifications & Experience: - Degree qualified or equivalent, with accreditation from relevant bodies (RICS, CIOB) - A demonstrate background of leading major general building projects from a commercial standpoint within an dry lining sub-contractor - You'll ideally be situated locally, within the Essex area, and have an excellent understanding of the region geographically and within the industry What to do next: If you are looking for a new opportunity and this role is of interest, apply via the link below and we look forward to discussing the role in more detail with you. If this role is not for you but you are interested in hearing of different opportunities, we'd still be keen to hear from you, so please get in touch on the number provided. Please note, all applications are held in the strictest confidence.